Visit our stunning, purpose built, non-denominational chapel, nestled amongst beautiful mature gardens. You will fall in love with its elegance, the charm of yesterday combined with modern design features to meet the expectations of today’s bride and groom. With two-hour time slots, you and your guests will not be rushed and longer times are available. There is nothing for you to do but to enjoy this perfect ambiance for your special day at our stunning Canberra wedding venue. 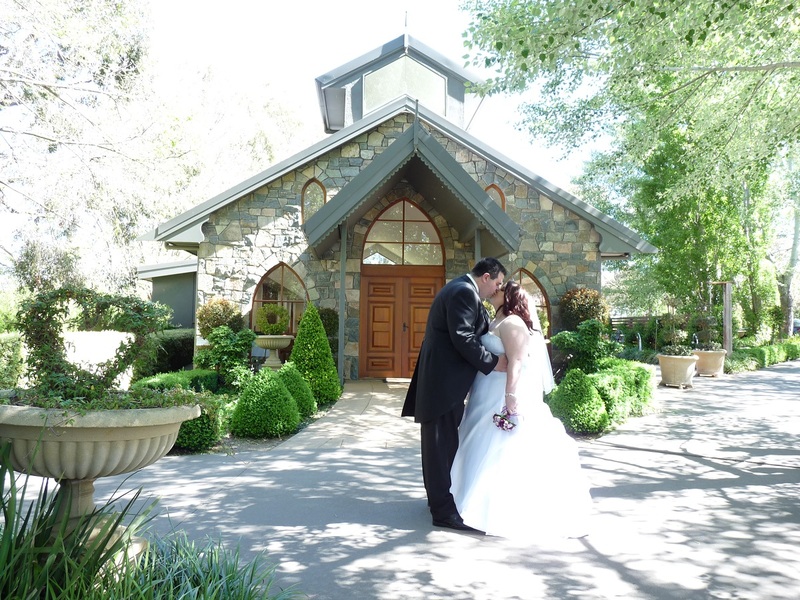 Contact us to view the Chapel and start planning your Canberra wedding venue now. Dates book quickly but there are still times available in the next few months. Stunning photographs provided by the wonderful photographers on our preferred suppliers list. The answers to the common questions you may have. For any other questions, contact us. Make an enquiry or arrange a viewing of The Chapel at Gold Creek and its majestic gardens.